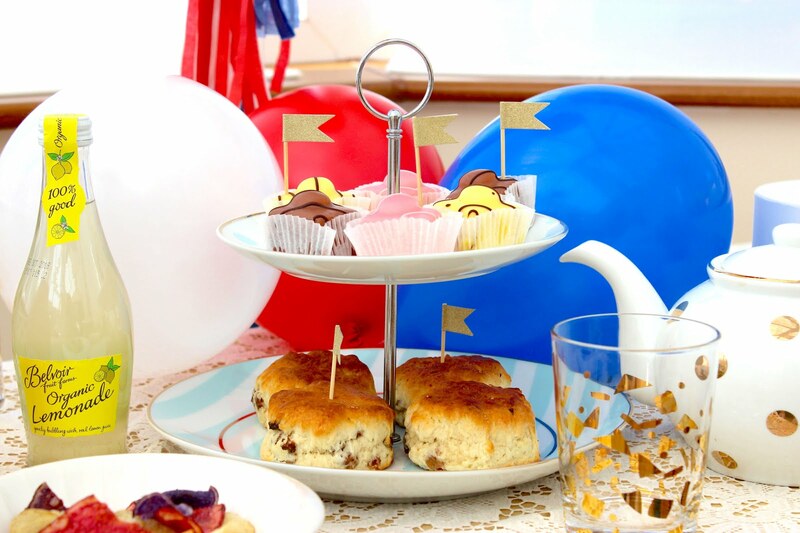 With less than a week to go until the Royal Wedding, it's time to start planning your celebrations - and what's more fitting than a Great British Tea Party? In case you're stuck for inspiration or are wondering where to begin, we've pulled together our essential Royal Wedding afternoon tea guide, to help you plan a party fit for the Queen. Celebrations like this are as 'extra' as they come, so get creative and show your colours - crack out the balloons, hang up some bunting and wear your Prince Harry mask with pride. It's important to remember that you don't need a big budget to make your party special, you can get multipacks of balloons from Card Factory and a rather snazzy Harry and Meghan flag from Amazon for a couple of pounds. 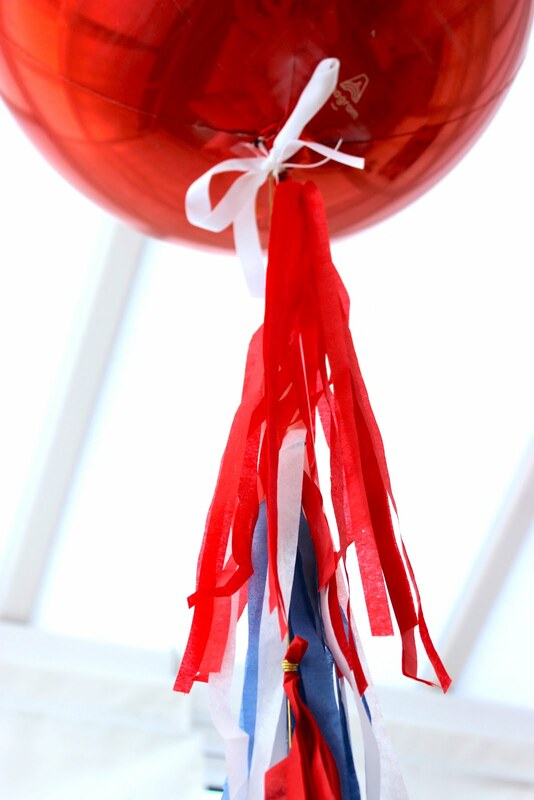 However, if you're in the market for something a bit more special, then Bubblegum balloons, have an incredible range of ready to go decorations specially created for the big day. 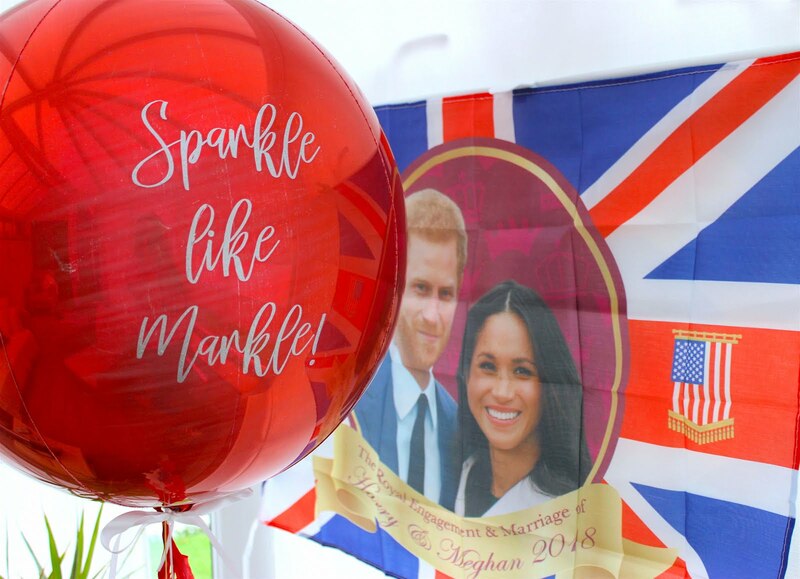 With beautiful tasselled tails, and a suitably apt slogan, their 'Sparkle Like Markle' balloon is an absolute must for any Royal Wedding tea party. As for crockery and table decorations, there are a couple of options. 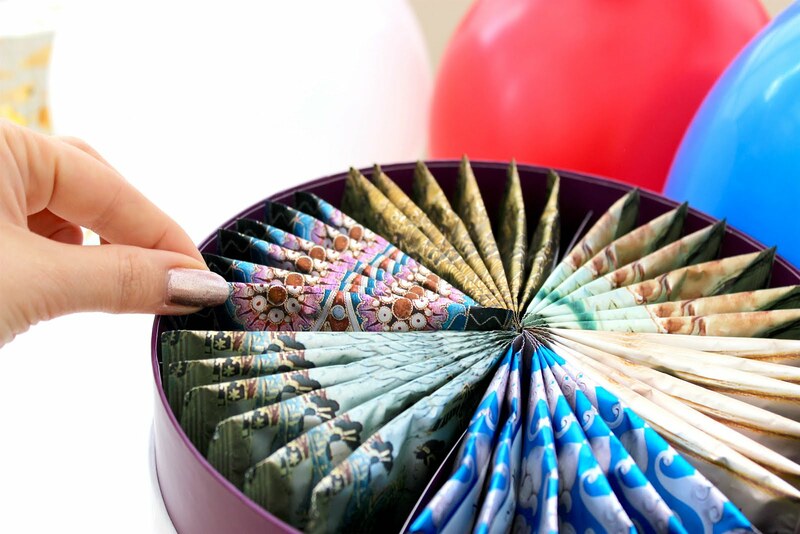 However, as the Royal wedding is a one-day-only event, we think your best bet would be to look for disposable party-ware that will give your gathering a touch of glitz without a significant investment. There are plenty of affordable pieces at Poundland, in a variety of designs including, Union Jack and gold spot. We opted for both of these to give a kitsch-yet-classy feel. Sometimes a cup of PG Tips is all you need, but if you're after something fancier then there are a few special options that the tea aficionados amongst you will LOVE. 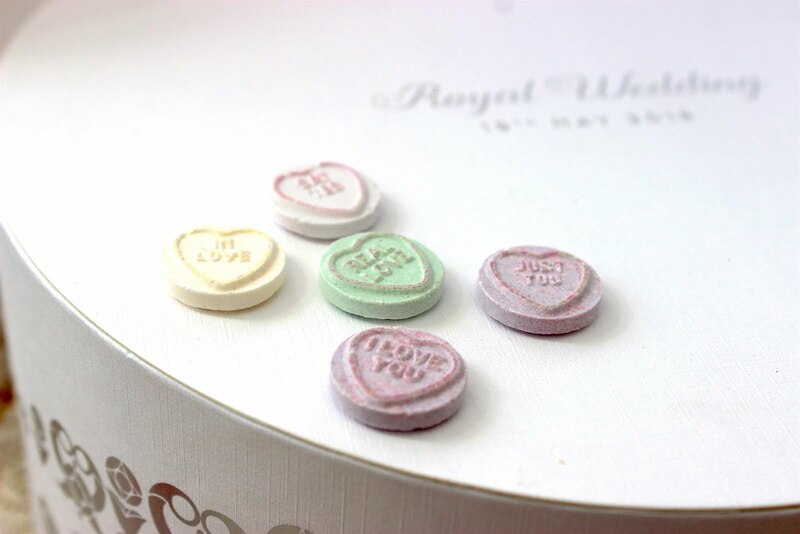 One of our favourites is the limited edition Newby London Royal Wedding Tea Selection, which is currently available at £28 online for 36 individually wrapped pyramids. With flavours ranging from English Breakfast to Earl Grey and Hunan Green Tea, this limited edition commemorative gift set is the perfect way to mark Harry and Meghan's big day. What's tea without a splash of something else to help wash the cake down? Whether you're popping the corks with a bottle of Bolly, opting for a refreshing lemonade or rustling up a fruit packed cocktail, it's important to have a variety of different drinks options available. 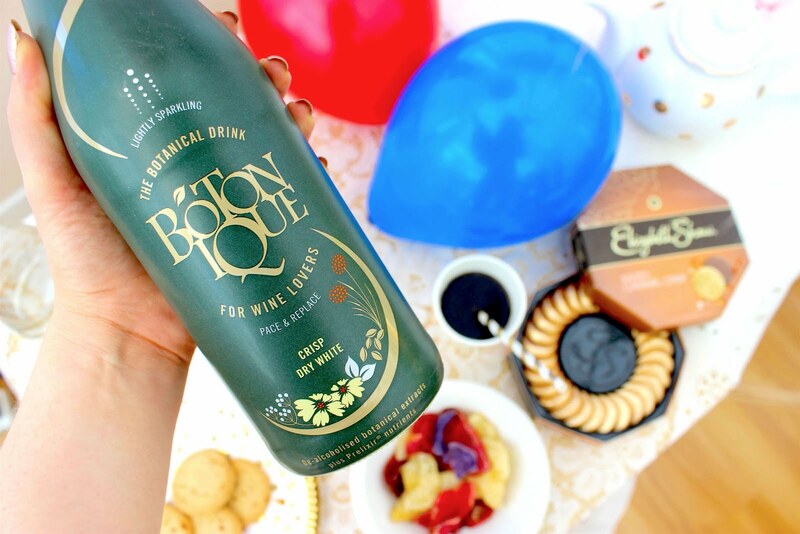 For those of you who aren't feeling the alcohol at 11.30am, we've recently discovered a beautiful wine-substitute called Botonique, which is completely alcohol free and dare we say it, healthy. 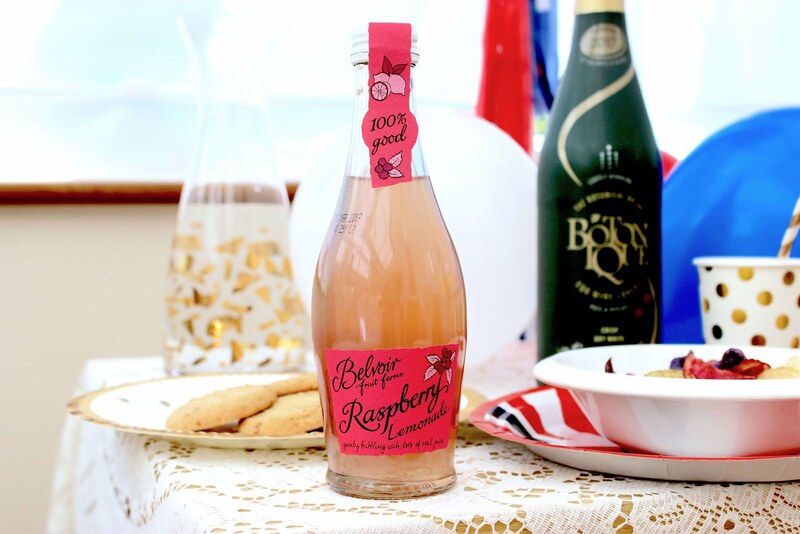 With low calories and negligable amounts of sugar, it's truly a guilt free drink, and whilst it doesn't exactly taste like wine or prosecco (nor does it claim to), it definitely has a quality which is reminiscient of both, making it a great food acompaniment - check them out on Ocado. 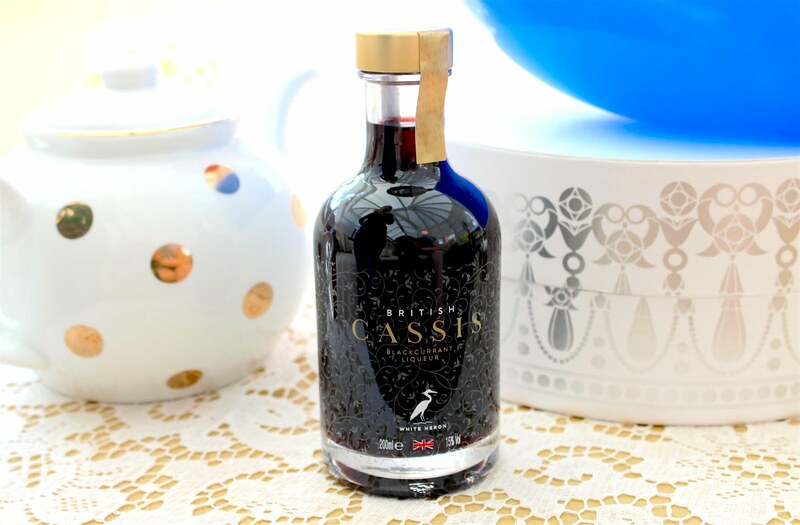 If you're in the market for a tipple, one of our favourites is Britain Cassis Blackcurrent liqueur. We tried this for the first time on Sunday and were impressed - think of a boozy Ribena with a sharp afterkick. 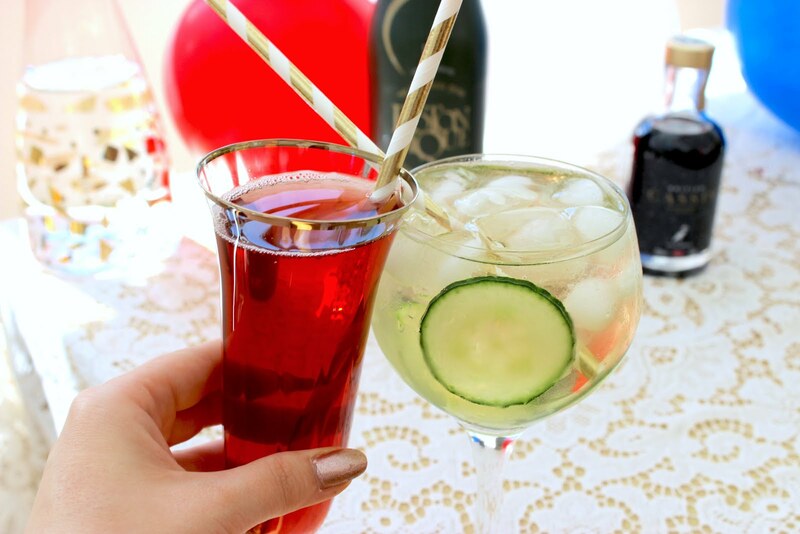 With something like this there are so many options to drink: either straight, over ice, in prosecco or as part of a delicious cocktail - if you're looking for a bit of inspo, have a browse of their Cocktail suggestions on site. You all know the score when it comes to food - cake is key - and whether you're baking your own or buying a Mr Kiplings selection, it's important to have enough to go around. If you're feeling particularly ambitious and want to dust off your mixer, take a look at these recipes for a bit of last minute inspo - we've tried the Baking Mad brownie bites before and can vouch for their delectability. Not all of the treats needs to come in cake form though. 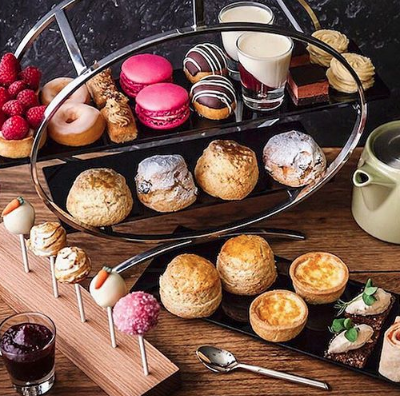 Sometimes, the best afternoon teas are the ones that offer a good mix of textures and flavours. We're thinking Jelly and Ice cream, sweets, chocolate, finger sandwiches and crisps (hint: Red, White and Blue Tyrells are currently available in Poundland and we are obsessed!) - literally throw the calorie counter out of the window this weekend! 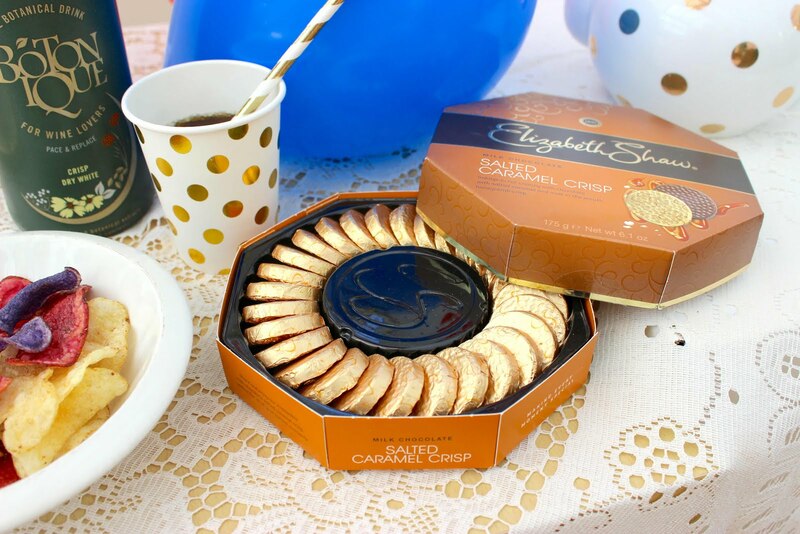 On the chocolate front, one of our favourites at the moment is from Elizabeth Shaw (you might remember them from our Mother's Day Guide) who have a range of Chocolate crisps that are the perfect end to a meal. 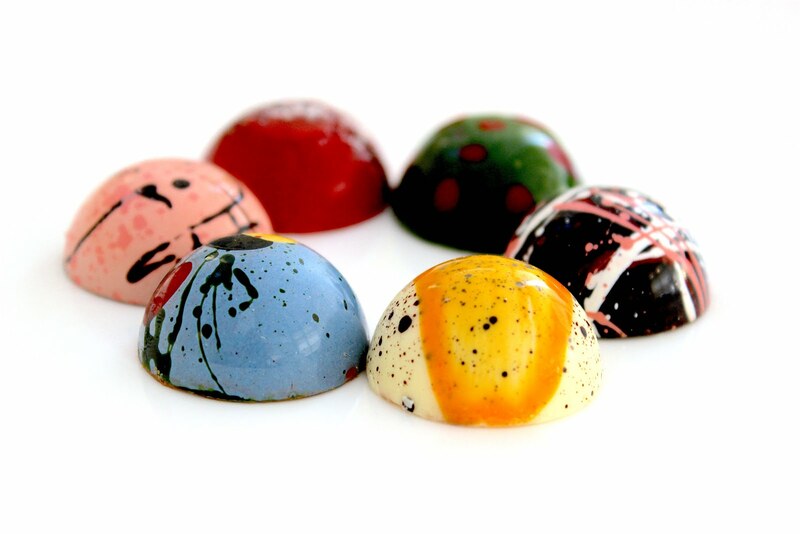 We're loving the salted caramel variety at the moment, but they also have a range of other flavours, including: mint and orange, which sound pretty great too. 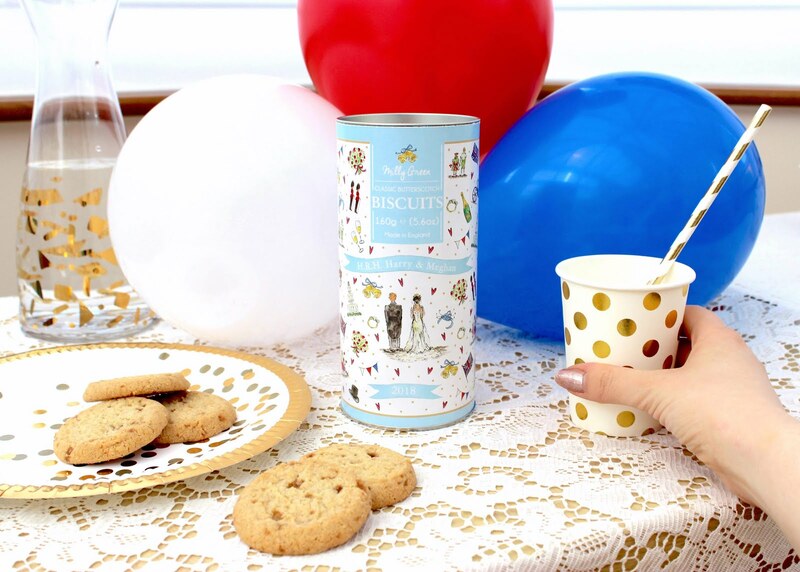 And finally - because we spotted them in Liberty last week and LOVED the packaging - we have a limited edition butterscotch biscuit set from Milly Green. These are seriously delicious and will make your room smell absolutely dreamy - we may or may not have finished off the entire packet already. Whetever you're doing on Saturday, we hope you have a great time. 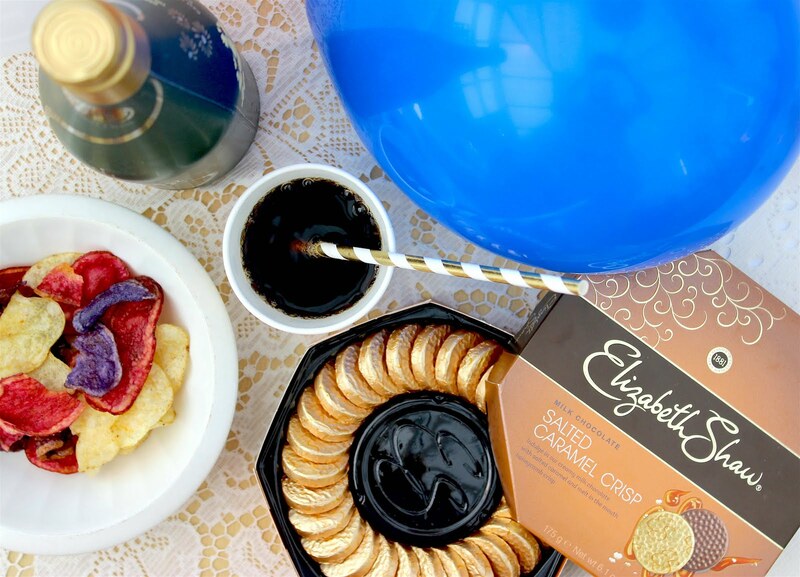 If you're celebrating with a tea party, don't forget to share your photos with us on Twitter, we'd love to share the festivities with you! How will you be celebrating the Royal Wedding this weekend?